It never rains, just pours. All started from a virgin pond in 2006, with 3 clumps of spawn taken from another local (>0.5mile) pond. Shows how starved certain species are for an environment to thrive. Wow that is a nice haul of spawn! Today I've put about three quarters of the tadpoles back into the pond. They were free swimming. I've kept two trays which I might hand rear depending on how the others are doing in the pond. I've found that releasing them when they are big tadpoles they survive OK in the pond, but keeping the water fresh and feeding them in containers, as some will know, is time consuming and not always successful. 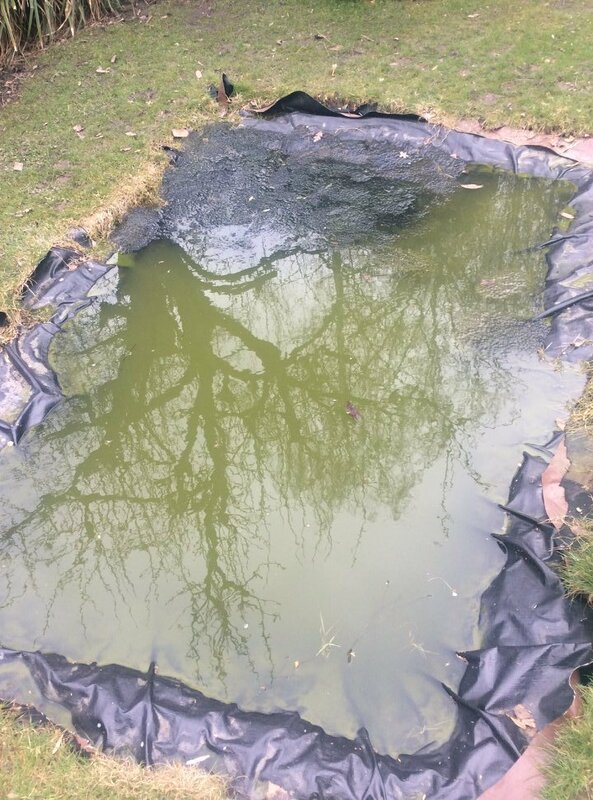 The spawn that stayed in the pond during the last snowfall seems mainly OK and the tadpoles from it are just free swimming. Tell me about it Suz, I've got to net out a couple of hundred taddies in a minute for a water change. 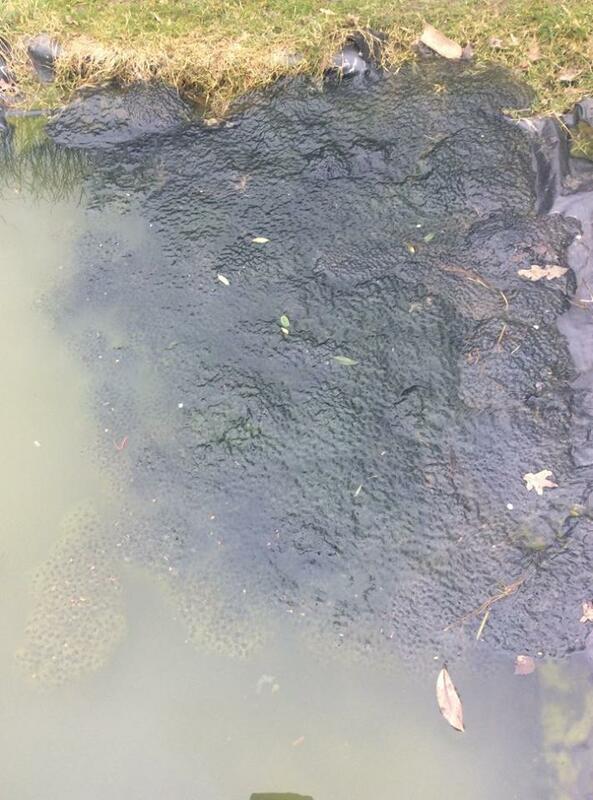 Spawn in our pond not looking brilliant. Lots seems to have gone off now and the embryos that are left are really tiny and don't look anywhere near ready to hatch yet. Have 7 trays of free swimming taddies, think will let them go in batches into the pond so end up with just one or two trays to look after. This past week I've put about 90% of my container reared taddies back in the pond. I had been putting about 20/30 a day in the small pond until last Friday when I saw a herring gull stood by the containers and worried it was going to start going for them. After that I released the entire contents of five trays and put a metal grill over the remaining container. It would have been tricky to cover all the containers and as they had good sized taddies in it prompted me to release them. I also released about 30 into the larger pond to see how they fared. My worries about the larger pond are that it is not where the spawn was laid (do mother frogs know what's best?) and there are lots of back swimmers which I've seen in other ponds catch taddies. I would think this is one of my most successful years for hand rearing. I had the containers placed to receive a maximum of just over an hour's sun a day. I didn't change the water at all and although it got green it didn't seem to bother the taddies. There were rafts of duckweed in the containers and some small emerging plants of frogbit. I fed lettuce puree to them but it wasn't as popular as previous years so I went on to fish pellets. They liked those, and I hope weren't detrimental. They got a good size and the containers were probably overstocked really. I expect they will be developing legs very soon. The ones I released in the larger pond seem to be surviving. I do spend hours pond gazing and have seen good numbers in there. So am hoping to see froglets soon. Brilliant Suz, been a while now since ours were released and we have plenty of froglets, just have to be careful at the moment not to tread on them! Was quite surprised to see an adult male smooth newt the other night with frolet legs hanging out of its mouth! Knew they took tadpoles but first time I've seen one eat a fully emerged froglet. Not seen any GCN larva, but oddly the smooth newt larva have grown huge this year. I'm use to seeing quite small ones but they look more like sub-adults with gills this year. Was a bit confusing as I was half hoping for GCN larva that I would expect to be large, but all definitely smooth newt larva that I have seen so far. could they be last year's larvae overwintered, Gemma? I have seen a few overwintering palmate larvae in my ponds. I don't have smooth newts. As I said previously I spend hours pond watching and seen ne'er a sign of any GCNs surfacing. I don't think they're in the big pond this year. The small pond is covered in duckweed and other weeds so not sure what's in there newt wise, although have seen palmates for sure earlier in the season before the duckweed took over. How pleasing Gemma that you've now got froglets. Makes it all worthwhile. I'm guessing palmates are a bit too small to grab froglets. The tadpoles are on the hefty size so I'm hoping they're safe too.